If you’re living in Mountain View, California, the chances of seeing a Google driverless car are pretty big, as the search engine giant keeps testing them. Still, they might be pretty disturbing for some drivers, as they’re not the fastest cars out there. Sir, do you have any idea how fast you were going? Recently, a Mountain View motorcycle police officer actually pulled over a Google driverless car exactly for this reason, according to Computer World. A Facebook user managed to take a picture of the moment and we must admit that it’s pretty hilarious. “Driving too slowly? Bet humans don’t get pulled over for that too often. We’ve capped the speed of our prototype vehicles at 25 mph for safety reasons. We want them to feel friendly and approachable, rather than zooming scarily through neighborhood streets,” the team wrote in its blog post. Still, neither Google or the people in the Google driverless car weren’t given a ticket, so the search engine giant still has a clean record sheet. The claim that the cars are stopped pretty often just due to curiosity, but this time, it wasn’t the case. The car wasn’t breaking the law! The officer was patient and explained the operators inside the Google driverless car that they should use speeds suitable for the roadways they’re using. 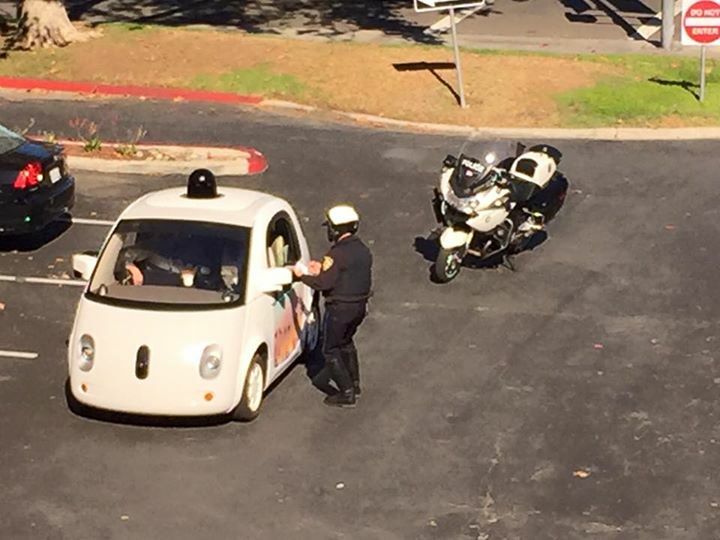 Still, the police department also mentioned that under the Neighborhood Electric Vehicle Definition in the California Vehicle Code, Google’s cars shouldn’t drive faster than 35 miles per hour, so it wasn’t breaking any laws, just holding up traffic.